Cobb Hill (www.cobbhill.org) is a community of people who are exploring ways to live that are ecologically, materially, and socially sustainable. Built in 2001, our community comprises 23 energy-efficient homes, a working farm and dairy and a number of member-owned agricultural enterprises: award-winning cheese, frozen yogurt, mushrooms, maple syrup, and sheep. 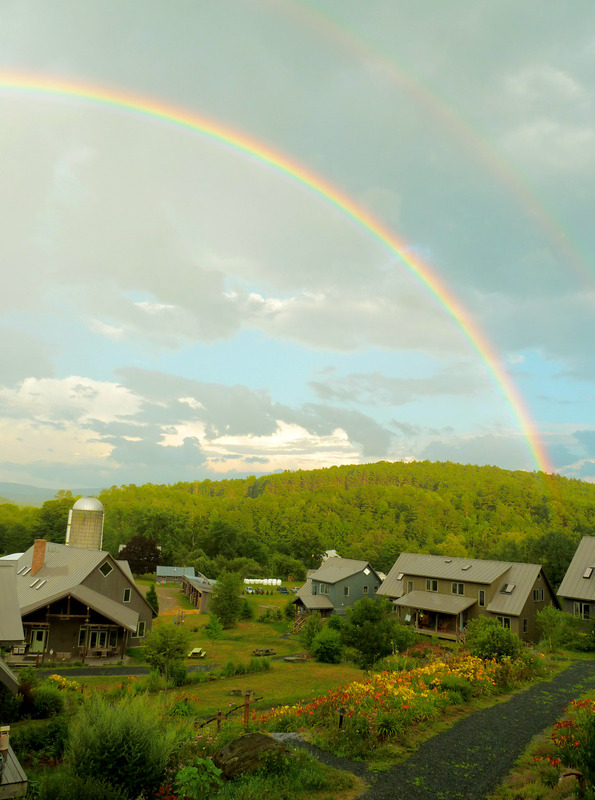 Our 260-acre property includes a large common house, barns, hiking and cross-country ski trails, a managed forest, pastures, sugar bush and gardens. Homes feature solar hot water, passive-solar orientation, green building design, a central wood-burning system, and high-speed internet. Our community is intergenerational, with ages ranging from babies to 80s. Kids love having a playing field, their own art area, acres and acres of woods to explore, and the opportunity to learn about farming through 4H. Adults have fun here too, with frequent community dinners and lots of social events: open mikes, an annual prom, special dinners, singing, campfires, and frequent impromptu gatherings. Our decision-making is by consensus, and we have a very strong informal mutual support system (we take care of each other). A few of our residents are retired; the rest practice a variety of professions including forestry, sustainability nonprofits, homemaking, medicine, farming, cheesemaking and high tech. Serious about trying to live more sustainably, both in our infrastructure and in our lifestyle, we look for members who share our interests and intentions and who will be active participants in community life. Cobb Hill Cohousing is located just 20 minutes from Dartmouth College and from one of New England’s premier medical centers. This is a vibrant area where the arts flourish and outdoor recreational opportunities abound. Excellent schools and a healthy, safe environment make it a great place to raise children. Here are some links showing the wide range of opportunities in our local area: hop.dartmouth.edu, northernstage.org, dailyuv.com, vitalcommunities.org, uppervalleyfood.coop, uvtrails.org, osher.dartmouth.edu.